Maggie Daley Park was officially dedicated Saturday morning as hundreds of people turned out to remember Chicago's former first lady. CHICAGO (WLS) -- Maggie Daley Park was officially dedicated Saturday morning as hundreds of people turned out to remember Chicago's former first lady. The After School Matters Choir and the Chicago Children's Choir performed a song that was written in Maggie Daley's honor. The city's former first lady passed away in 2011 after battling breast cancer for more than nine years. "I'm glad to be here on behalf of the Maggie beautiful park," said former Mayor Richard Daley. "I think it really reflects what Rahm (Emanuel) has said and others, and Nora. Maggie really loved the city and loved the children." Portions of the park, including the popular skating ribbon, opened last fall. 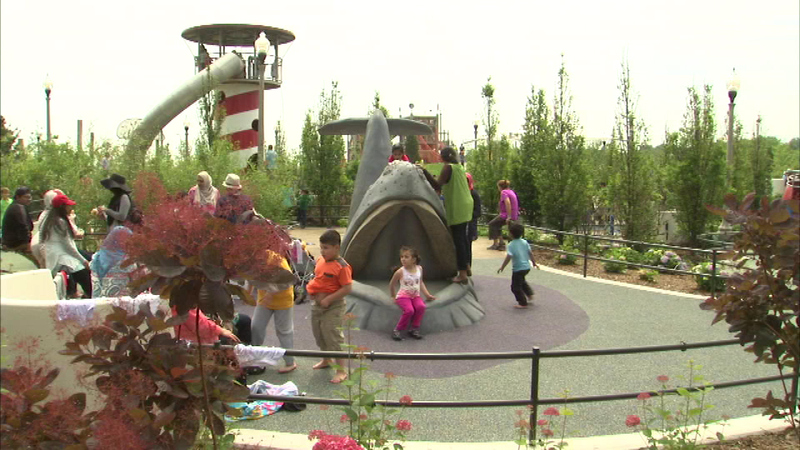 The entire 20-acre park was completed just last month.